Many organizations grapple with the issue of deciding between virtual desktops or virtual application delivery. Or should you do a combination of the two technologies? Desktop virtualization and application virtualization are often used together, but they are really separate technologies and can be used independently. The question is which of these technologies should your organization use? 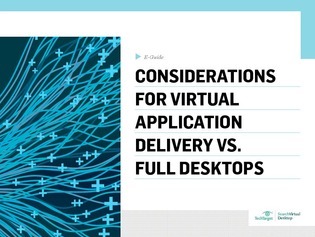 Download this e-guide to find considerations for virtual app delivery vs. full desktops.